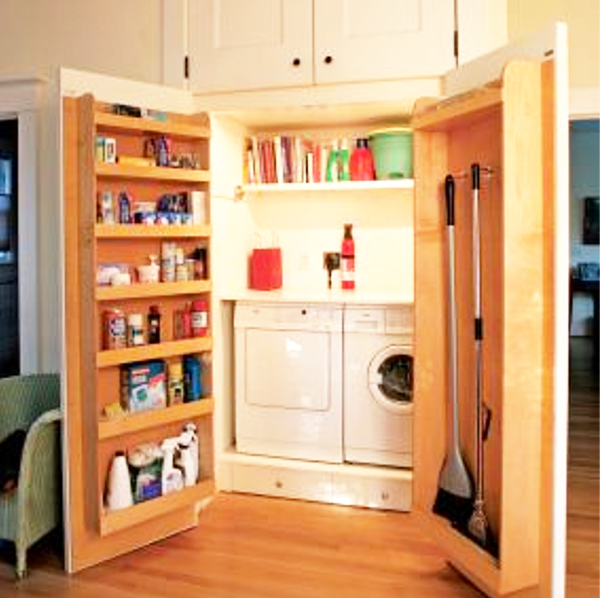 One thing that is on my "want list" for our future dream home is a laundry room and not a laundry closet. On the other hand, if my laundry closet looked something like this I don't think I would mind so much. You can find the tutorial on how to make this closet by clicking here .